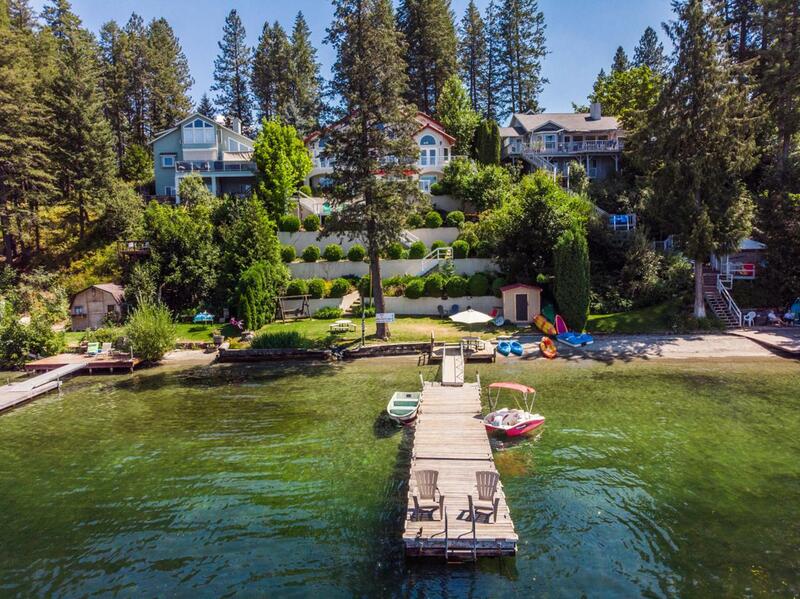 This fully furnished Spectacular Diamond Lake Mediterranean Waterfront property sits on 75' of pristine deep lake frontage with a sandy beach and beautifully landscaped yard. This stunning home is currently being run as a B&B and recently received the coveted 5-star award from Trip Advisor for 2018! This home also boasts 7 master suites, 7 baths, and 2 decks to enjoy the breathtaking views. © 2019 Coeur d'Alene MLS. All rights reserved. The data relating to real estate for sale or lease on this web site comes in part from Coeur d'Alene MLS. IDX information is provided exclusively for consumers' personal, non-commercial use and may not be used for any purpose other than to identify prospective properties consumers may be interested in purchasing. Information is deemed reliable but is not guaranteed accurate by the MLS or CDA Home Finder | Professional Realty Services.Data last updated: 2019-04-18T12:03:21.333.